Photo of pig-tailed monkeys (Macaca nemestrina) in Thailand. 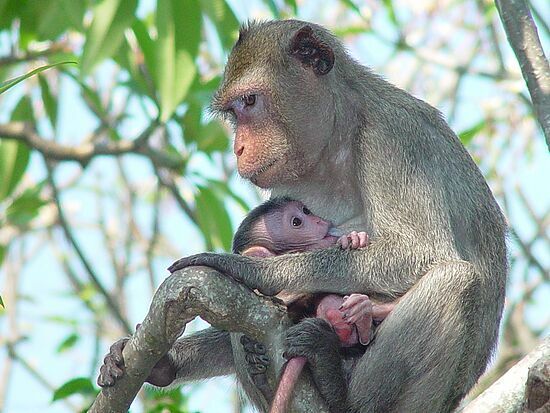 This monkey mother is breastfeeding her baby. At Pranakorn Kiri in Phetchaburi province, south of Bangkok, where pig-tailed monkeys (Macaca nemestrina) live, this mother monkey provided her young with nutrition and protection. Pig-tailed monkeys are locally common mammals in Thailand.